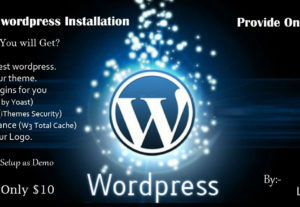 I am an expert in professional wordpress web development and web solutions. I have over 5+ years of experience in Wordpress. I've 100+ unique wordpress theme installation with its demo content (setup same as demo site) and worked with 230+ projects last few years. 100% Satisfaction Guaranteed 24 Hours Delivery. Hey Guys, I've almost got 5 yrs of exp. in web industry and espl. working with WordPress. I will move/migrate/clone your Wordpress website to new host or domain in complete form. No missing files or content! Before order Please send me your requirement List. Awesome experience..... delivered the project super fast, communication was excellent and I am sure to use Lexiluz again!!! A pleasure to work with. Truly professional and easy to communicate with. Highly recommend. Very nice seller and great work. Went above and beyond to help with the transfer website. Will order again.